As part of a nutritious diet and active lifestyle, Concord grapes may be one important ingredient for maintaining a healthy cardiovascular system. More than a decade’s worth of science indicates that Concord grape juice may help support flexible arteries to promote healthy blood flow. And while additional research is necessary to draw any conclusions, early findings suggest that Concord grapes have the potential to play a role in helping certain groups of people maintain healthy blood pressure. Find out what has been uncovered. Researchers have begun investigating the role of Concord grapes in cognitive health. The research in this area is very preliminary, yet emerging science suggests that Concord grapes may offer certain cognitive health benefits. Recent studies indicate that Concord grape juice may help slow the progression of age-related cognitive decline. More research is needed before any conclusions can be drawn, but find out what has been uncovered. 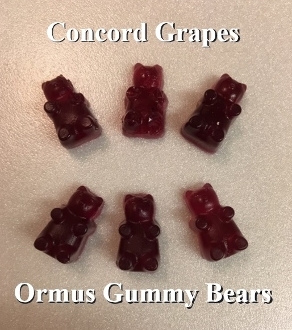 Very preliminary science suggests that the immune system may be supported by the plant nutrients (phytonutrients) and micronutrients found within Concord grapes. More research is needed before any conclusions can be drawn, but find out what has been uncovered.